With the first five-touchdown game of his NFL career, Aaron Rodgers ensured that the Green Bay Packers’ playoff road will go through Lambeau Field. He also made sure the rival Chicago Bears will be spending the playoffs at home. Rodgers broke a close game wide open by leading three quick scoring drives in the second half, and the Packers beat the Bears 35-21 on Sunday night. 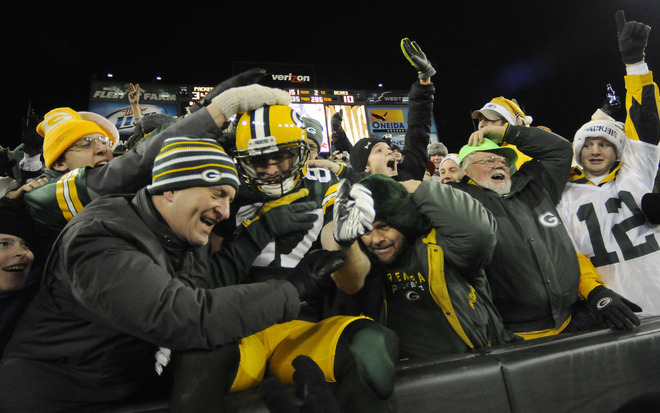 With the win, the Packers (14-1) nailed down the No. 1 seed in the NFC and claimed another round of bragging rights in the NFL’s most storied rivalry by knocking the Bears out of the playoff chase. “We wanted the path to go through Lambeau,” Packers coach Mike McCarthy said. Rodgers threw a pair of touchdown passes to Jordy Nelson, another two to James Jones, and found tight end Jermichael Finley for a score. 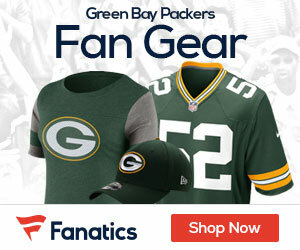 Rodgers was 21 of 29 for 283 yards and five touchdowns with no interceptions when backup Matt Flynn took over for Rodgers with 7:54 left in the game. Rodgers surpassed Lynn Dickey’s single-season franchise record of 4,458 yards passing with one game left, although it’s unclear how much Rodgers will play in the Packers’ finale against Detroit. The loss eliminated the Bears (7-8) from playoff contention and put the Atlanta Falcons in the playoffs. Third-string running back Kahlil Bell rushed for 121 yards for the Bears, who trailed by only four early in the third quarter. But Rodgers drove the Packers for touchdowns on their next three possessions to put the game out of reach.